TV Palmeiras – the youtube channel – last week reached 300.000 subscribers, making it the 8th largest in the world and the only non-European football channel to reach the milestone. With more than 18 million views, it has rapidly become a prime source of information for Palmeiras supporters. Yesterday, Palmeiras’ supporter membership programme Avanti reached the 110.000 mark, making it the 9th largest. Recently overtaking Internazionale and Manchester United, the next “victim” is Borussia Dortmund with roughly 120.000 members. “The Avanti is the primary reason behind our growing investments in football. The more members we have, the stronger Palmeiras become”, club president Paulo Nobre explains. Seems like the supporters are buying the argument: in Brazil, Palmeiras are second only to Internacional, the gaucho side computing some 130.000 members. If Avanti maintains the pace, it’s just a matter of time. Not only the supporter programme boosts revenues: turnout at home games have generated impressive profit for the club so far in 2015. 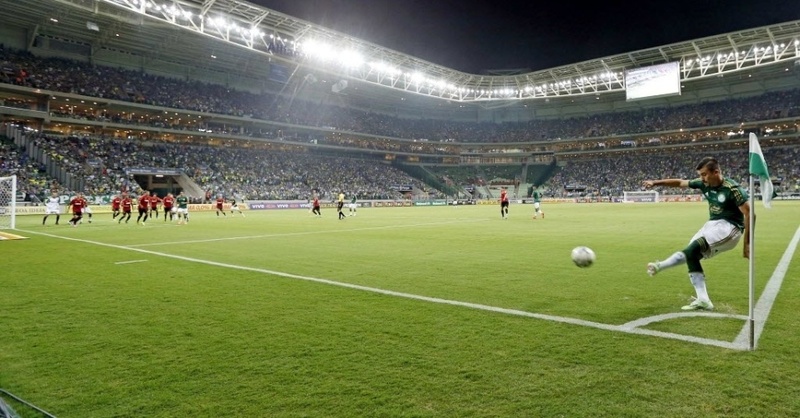 Palmeiras’ net revenue from the group stage of the Paulista championship totalled R$11.251.787, compared to the R$10.564.009 the other seven teams going through to the knockout phase managed to collect. Yes, that’s right: Palmeiras ALONE netted more than the other seven TOGETHER – some US$5 million. Palmeiras might be making big bucks, don’t think for a second it means entering spending mode. Valdivia can tell you more. The midfielder is unhappy with the current proposal for contract renovation, where Palmeiras offer a fixed salary roughly a third of his current, compensating with hefty sums each time he enters the pitch. Valdivia probably feels he is being punished for getting injured a lot. Palmeiras certainly feel they might finally get their money’s worth out of the player. With Mattos in the driver’s seat, we can assume the breaking point has been well defined and that Palmeiras won’t budge. Which is excellent.